So now that you've made the roses, let's see their uses. Shrenika Poojary sent me their photos, too. And apart from that if you have any other idea, post it in the comments below. 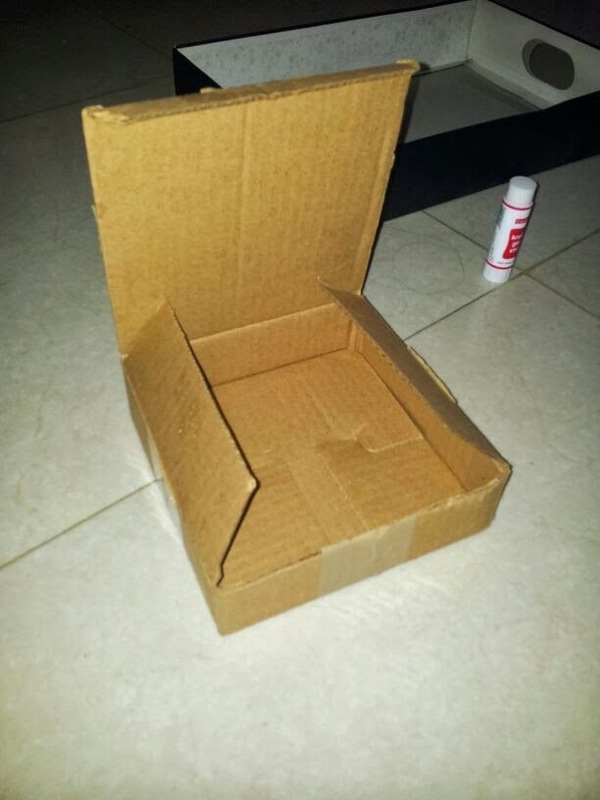 This box is simply made with the cardboard box. 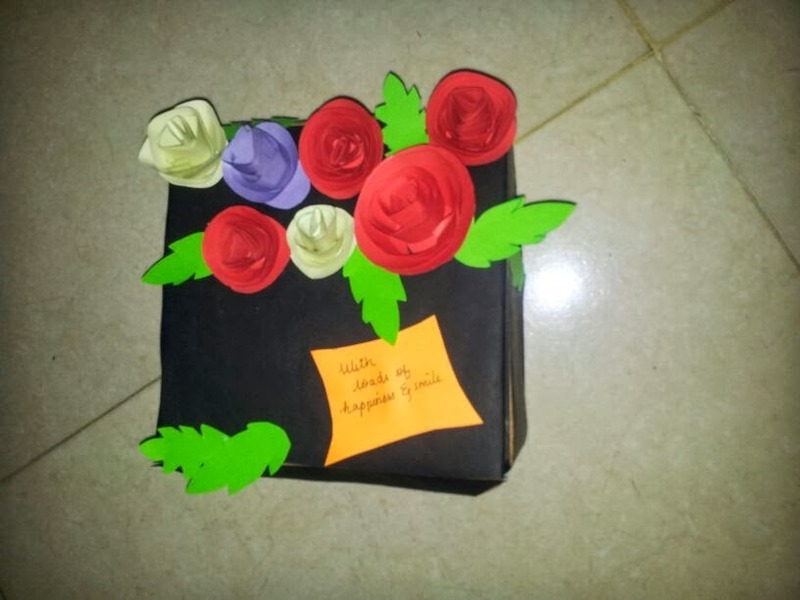 She has stuck the DIY roses along with leaves and a yellow paper with a message written on it. She has covered the box with black. There was yet another photo that she had sent me, but I accidentally deleted it. It was a card, with these roses, and a message written on it. If I find it, I'll surely post it here. You can also try making small roses and stick them on your projects for decoration. Or make friendship bands by sticking them on colorful satin ribbons.